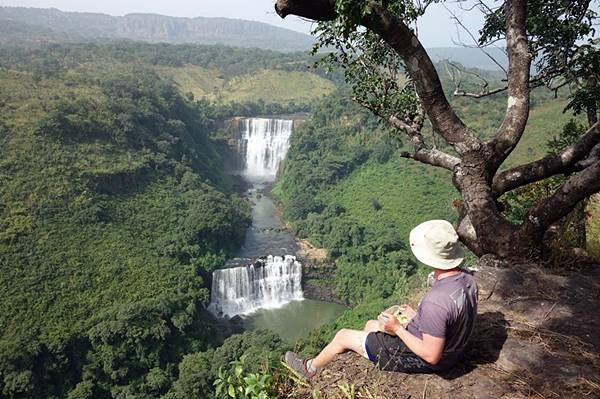 A 28 day trip between Dakar, Senegal and Freetown, Sierra Leone, offering incredible trekking, waterfalls, music, beaches and wildlife mixed with West African traditions and culture on this off the beaten track adventure! 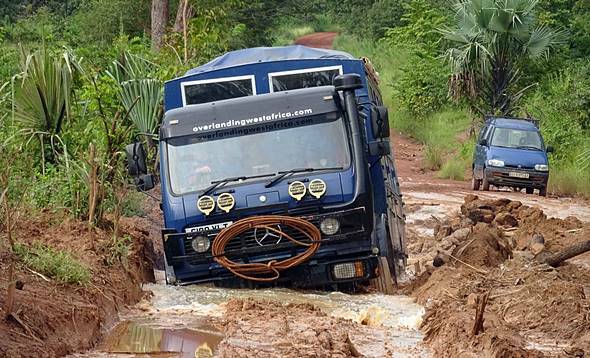 In 2012 we were, to the best of our knowledge, the first ever truck-based overland company to devise, market, sell and operate a trip along this route, and the first ever company to take an overland truck-based trip through both Guinea Bissau and Sierra Leone. We’re pleased to say it was a huge success! 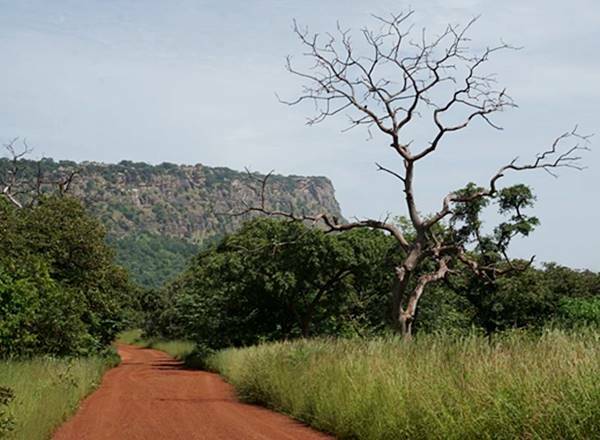 The first two weeks of the trip will be pretty easy-going, with relatively short drive days on reasonable roads – but once we cross the border from Guinea Bissau into Guinea, the tarmac ends for a while as we go off-road for some fun driving in the Guinean highlands! Though the Chinese have begun to grade and pave some of this road, they are still some way from completion and driving through the Guinean highlands could get pretty interesting i.e. muddy if the rainy season is still in swing or bumpy if the road has dried out! It will be a challenging drive for short stretches but you’ll be rewarded with some truly incredible scenery. There will be one or two ferry crossings en route, and if bridges are down or damaged we will have to ford rivers. 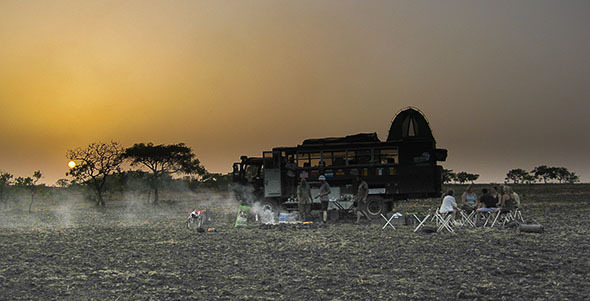 Be prepared for a true overland adventure along a route rarely travelled! The trip starts in the Senegalese capital of Dakar. We’ll have two nights to explore this cosmopolitan and vibrant city whilst we apply for visas – so plenty of opportunity to wander and visit some of the sights. Absorb yourself in art galleries and markets, enjoy the nightlife or take in some of the troubled history of the slave trade on the Île de Gorée. Leaving the capital we’ll make our way towards the border with Gambia where we’ll take the truck on a ferry across the Gambia River and head west to Tendaba Campement. 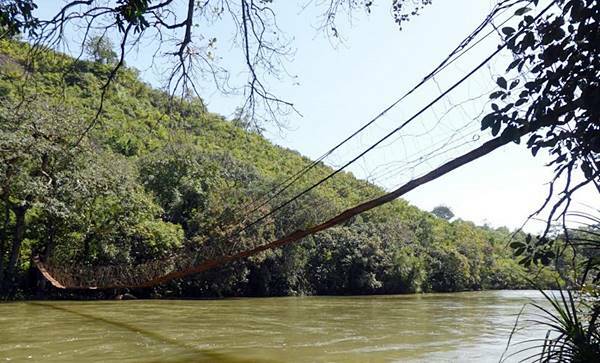 We’ll spend two nights at this tranquil riverside camp with time to relax and the option totake boat trips to spot wildlife in the Baobolong Wetlands or a vehicle safari the Kiang West National Park. This protected reserve of mangroves boasts an outstanding wealth of bird life, impressive enough to excite even the non-bird watcher! We also hope the village will turn out for a lively evening of dancing and music around the truck. 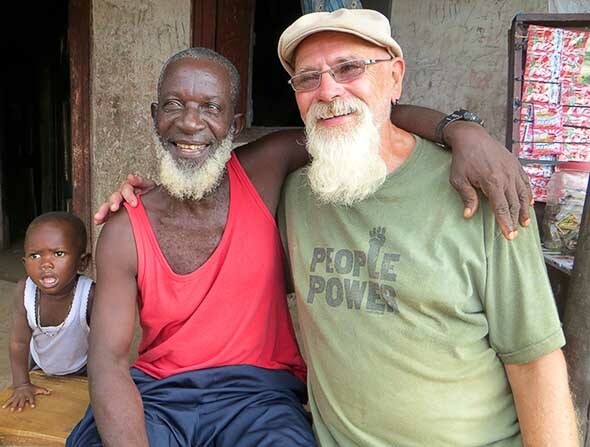 From Tendaba we then drive west, following the river and stopping for a night at the compound of a Griot family which serves as a school of music. Griots are praise singers, historians, story tellers, entertainers and musicians, whose traditions are passed down between generations. We hope to witness a Kora performance, and have the chance to try our hand at playing a variety of local instruments. From here we’ll get back on the road and make our way through Southern Gambia and cross the border into the Casamance region of Southern Senegal. This week will be spent overlanding through the Casamance region of southern Senegal. This part of the country is quite a contrast to the rest of Senegal in terms of the topography and the culture (the people are mainly Jola or ‘Diola’ and non-Muslim). 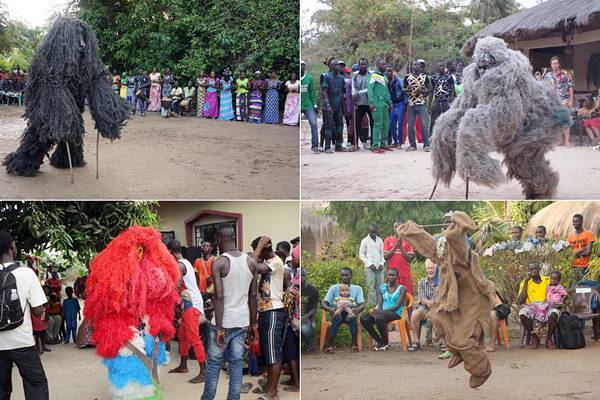 In northern Casamance we’ll spend a couple of nights in a small village known for its music and drumming. We hope to see a traditional Koumpo dance and also a Djembe troupe performance. Drumming lessons will be available for those that want to learn from the experts, and there will be time to relax on the stunning beach close by. We will also visit a nearby coastal town, famous for its enormous fish market and smoke houses, which makes for an incredible sight! We will obtain visas for later on in the trip in the laid-back regional capital of Ziguinchor, where we’ll have a free afternoon to look around the colourful market and kick back amongst the old colonial architecture. 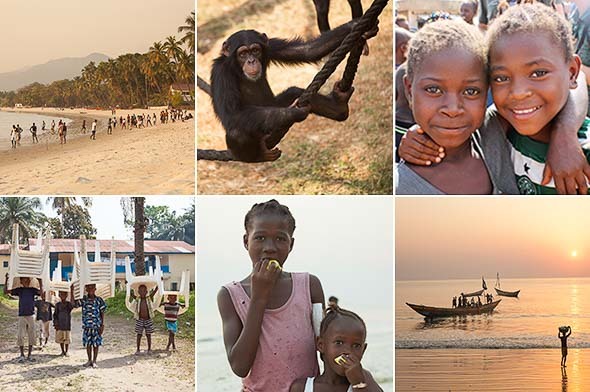 We then head west through the southern Casamance, spending best part of a week staying at various campements, all situated in the most beautiful parts of this beautiful region. This part of the trip will be pretty relaxed with relatively short drive days, with the chance to stop along the way to take photos of this stunning part of Senegal. Take a fishing trip – and maybe bring back some fish for dinner! 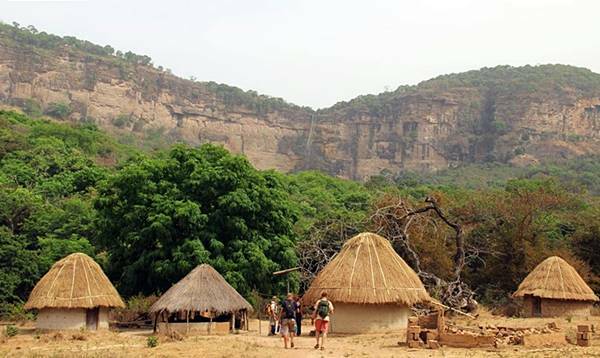 This part of Senegal has seen a large slump in tourism since the troubles of the late 1980’s and 1990’s, so the local people are most welcoming to travellers that venture this way. 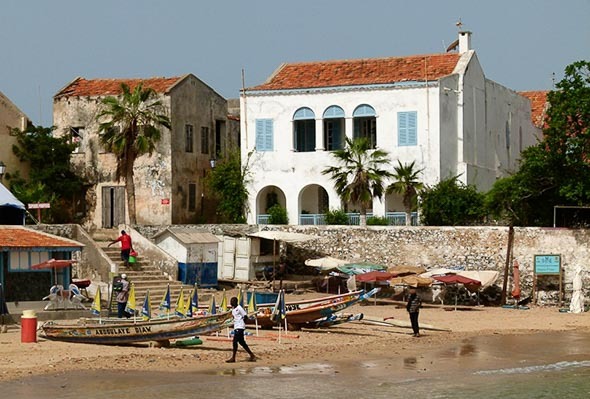 Guinea-Bissau has experience a turbulent past, but in recent years relative stability has returned and the number of travellers visiting this little known country is growing. 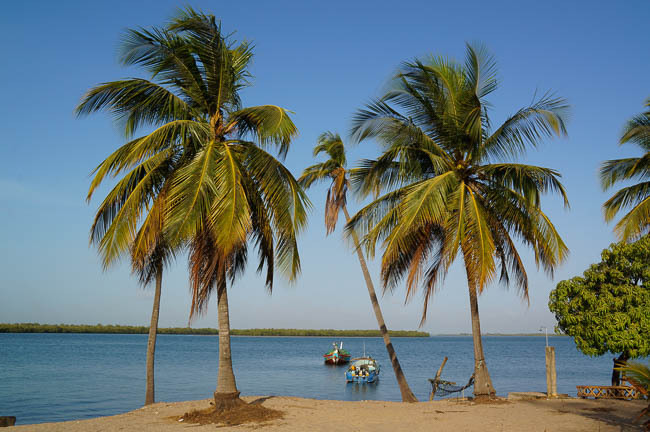 Whilst lacking the quantity of ‘attractions’ that neighbouring countries can boast of, Guinea-Bissau will charm you with it’s off the beaten track feel and welcoming people. 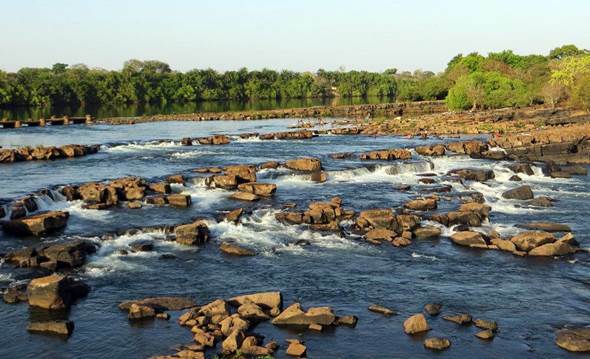 We’ll spend just a few days traversing the country stopping off in the capital Bissau where you’ll have a chance to explore. Bissau Velho, the old Portuguese colonial centre of Bissau, is noted for its pastel-coloured buildings and backstreet cafes. The fishing port at dawn is an incredible sight as the boats launch into the Atlantic and return with their catch at sunset, a must see! You can take the opportunity to enjoy some of the luxuries on offer before the journey ahead, and haggle for some of the wooden products on offer in the artisan’s market. 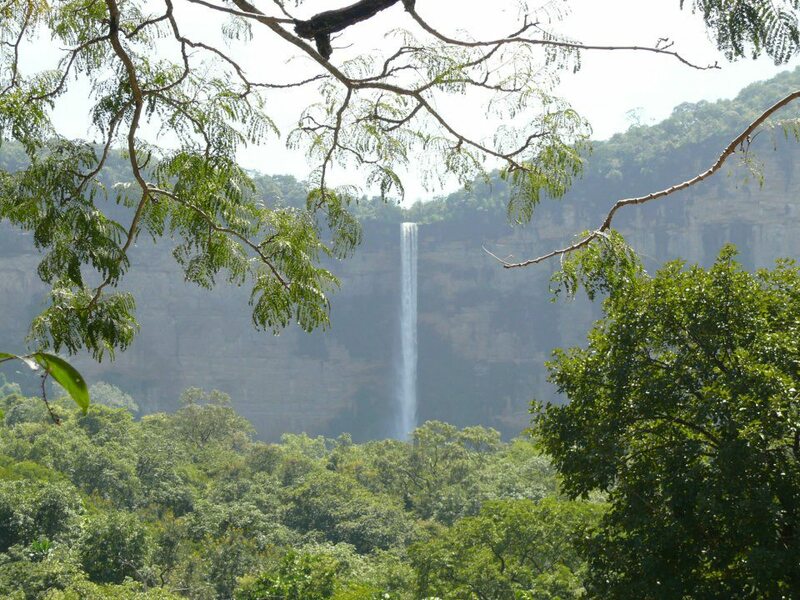 Leaving Bissau we’ll drive east towards the Guinean border, spending the night at Saltinho Waterfalls en route. Here we will stay at a campement with stunning views over the falls close by! Once we cross the border into Guinea the roads will start to get more challenging. We will be driving though the Guinean highlands between Koundara and Labe, bringing us into a region known as the Fouta Djalon. 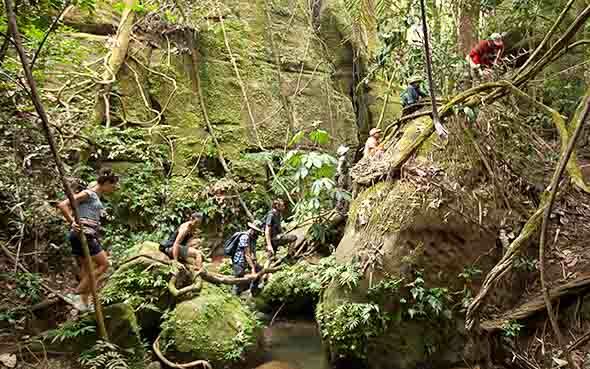 This area is considered one of the most beautiful in the whole of West Africa. The drive can be rough at times but there are plenty of small rivers en route where we can stop to wash away the mud and dust! Guinea is building a stable future following a volatile transition period after the lengthy Presidencies of Sekou Toure and Lansana Conte. 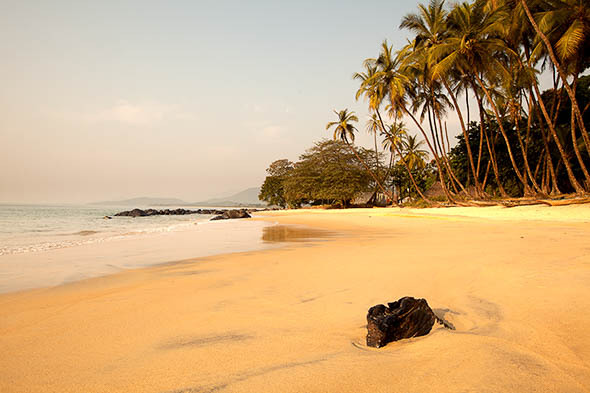 Even now with the countries first elected President (Alpha Conde), Guinea seldom makes it onto the ‘traditional’ overland route through West Africa, and for the most part remains unspoiled. 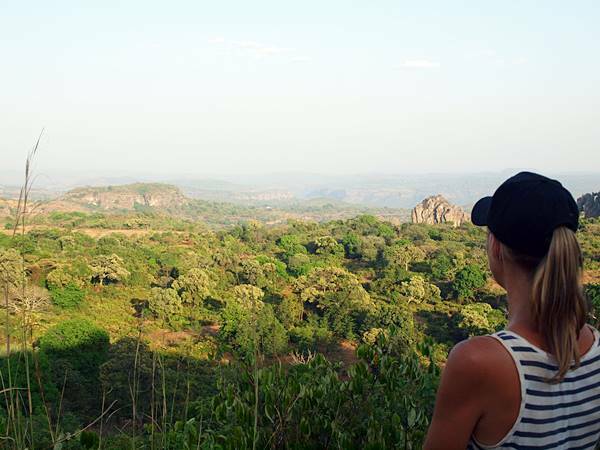 Most of our time in Guinea on this trip is focussed upon an area known as the Fouta Djalon. Here we’ll spend around a week traversing this stunning region in the highlands, considered the traditional land of the Fula people. The highland climate here is cooler than the rest of the country, making it ideal for walking and hiking. From the Fouta Djalon we’ll descend towards Mamou and head southwest towards the Sierra Leone border via Kindia. 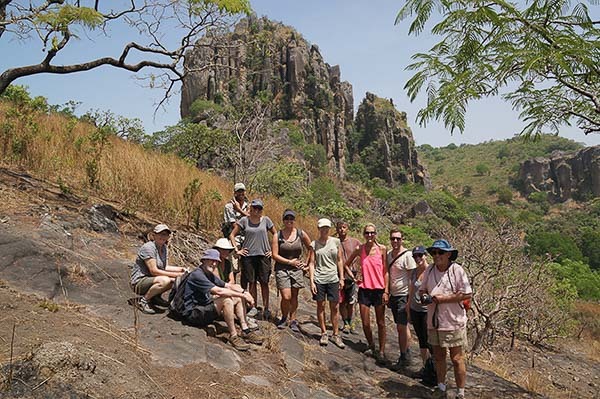 If you’re not too tired from trekking in the Fouta Djalon, and time permitting, a few hours could be spared to climb up to the top of Mount Gangan for a wonderful panoramic view of Kindia and the surrounding countryside. Next we say au revoir to French speaking Guinea and hello to English speaking Sierra Leone (or kusheh-o in Krio). Expect a long couple of days travelling as we get back on the road and head towards Freetown, crossing a busy border with some of the most inquisitive officials on the whole trip! Our last day will see us drive into Freetown. If you’re leaving the trip here you should spend some time to look around and soak up the atmosphere in Sierra Leone’s dazzling capital city. You could take a speedboat to Banana Island with its breathtaking views of the coastline, visit the Tacugama Chimpanzee Sanctuary and/or Charlotte Falls, or simply beach hop along the peninsula. When the sun goes down Freetowners’ like to party – so if that’s your thing you’ll find plenty of street parades, beach bars and nightclubs to dance in until dawn. 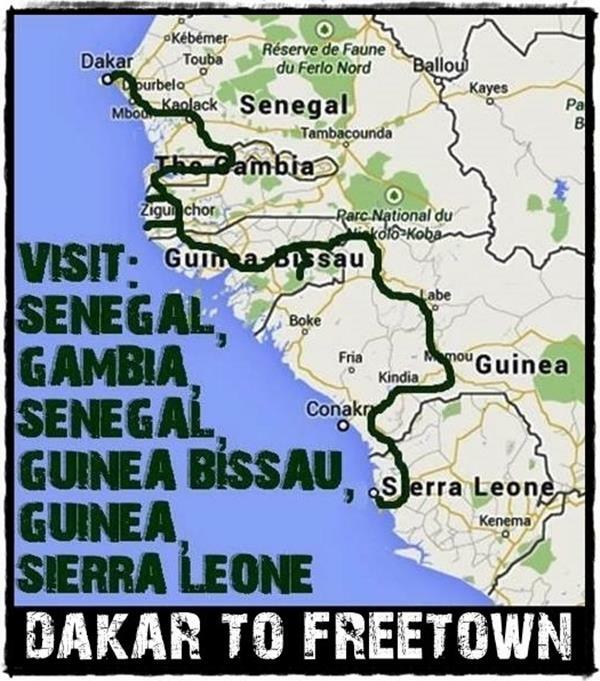 Please Note: This trip can be combined with our Freetown To Accra and/or our Accra To Ouagadougou trips to make the ultimate West Africa Overland adventure!